Error 404: Intro not found. Capitalize on your dying wish minions and multiple buffs to pummel your unsuspecting opponents into submission. Fenrir warmaster and jaxi are surprise hits in this list, both able to trade and enable a buff target in their surviving token. Basilisk adds redundancy to this big body plan, as well as being able to punish the infestation of try-hard Shidais and Zirans in gold and up. General goodstuffs include primus shieldmaster— an incredibly underrated card from even a constructed standpoint, as well as grimes— a massive value generator in budget and constructed alike which remains broken despite a drop in usage over the past 6 months. Early game: try to maneuver into a position where you can generate two threats. Generally play basilisk safe, as the value it generates fromthe opponent’s change in play style is benefit enough. An unanswered basilisk allows you to buff other minions with impunity. Watch for lightbender and paragon in these situations; you didn’t work this hard just to blow it all to some PWNy boi. endgame: chain grimes and warbirb. Don’t back off too soon, as an unexpected heal can cost you games. Too often I read complaints about Vanar on Duelyst media. Complaints which I frankly find both disheartening and unfounded. The faction holds a wealth of powerful and relatively undiscovered interactions, and I expect it along with abyssian to be centers of a renaissance of deckbuilding in the coming months. Honestly most of the exploration just requires a step beyond the confines of ramp and burn core 90+% of all Vanar decks run and looking into the wealth of spells and minion interactions the faction holds. 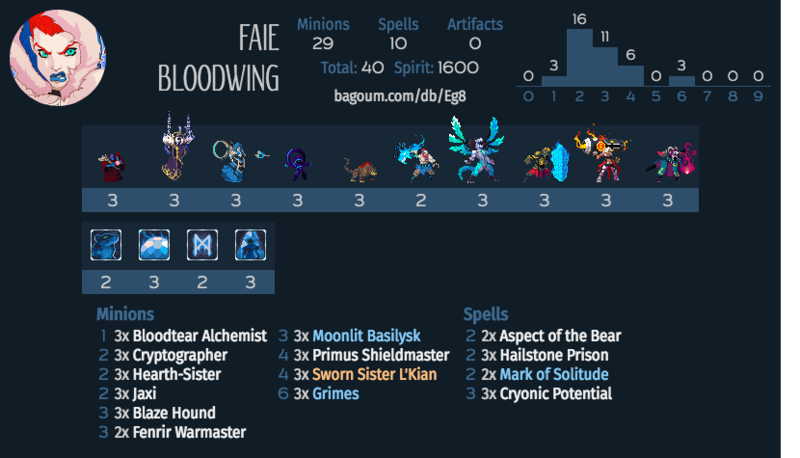 Case in point: this deck hit S on a budget and runs Fenrir Warmaster. Fenrir Warmaster. No excuses, comrades. We need to do better. We can do better. Good luck! Is Grimes really still that good now that the Shim’zar stuff is back in the pool?